Junior’s Cookin’ is the only album as a leader in the sixties from tenor saxophonist Junior Cook. Superb hard bop date. How many references to cookin’ can you handle? Following his debut as a leader, Junior’s Cookin’ from 1962, the 70s and 80s saw the release of Pressure Cooker, Good Cookin’ and Something’s Cookin’. Of course, there’s a close relationship between jazz and food, depending on how far you want to take it. If you don’t mind me traveling a couple miles from home base, I won’t hesitate to state that more often than not, you can just smell jambalaya, kidney stew or ribs in the juicy notes of Louis Armstrong, Brother Jack McDuff, Lee Morgan, to name a few… I’m pretty sure this can’t be applied to classical music, which as a principle is non-spontaneous. (Though it once was common practice, as brilliant composers and pianists like Franz Liszt reportedly did, to partly improvise) But perhaps you disagree and feel very strongly the taste of Sachertorte in the waltzes of Johann “Fledermaus” Strauss. What’s cookin’? Well, the group of Junior Cook, sous chef of the Horace Silver Gourmet Restaurant. 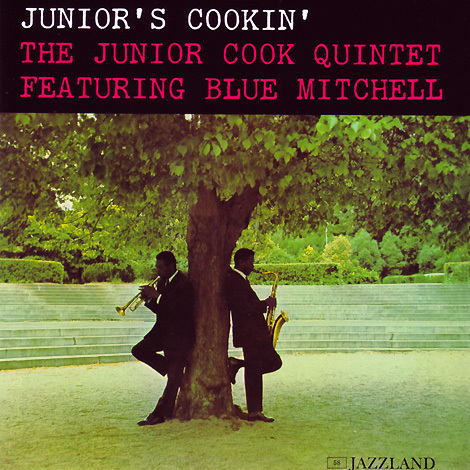 (Just one last cheesy culinary reference to end all matters) Junior Cook, born in Pensacola, Florida in 1934, deceased in NYC in 1992, came into prominence with the hard bop pioneer’s group, blending particularly well in the ensembles with Blue Mitchell, who’s his superb and lively mate on this album as well. As a matter of fact, also present on Junior’s Cookin’ are bassist Gene Taylor and drummer Roy Brooks, who were part of the Silver line-up including Cook and Mitchell as well, a group that existed from 1958 to 1964 and is by many regarded as the essential Silver band. After his stint with Silver, Cook was in Mitchell’s band from 1964 to 1969. He also played in trumpeter Freddie Hubbard’s group from 1971 to 1974. Notable albums on which Cook is featured are Horace Silver classics as Finger Poppin’, The Tokyo Blues and Doin’ The Thing, Kenny Burrell’s Blue Lights Volume 1 & 2, Barry Harris’ Luminiscence and Cedar Walton’s Cedar. With this line-up involved, effortless swing and crisp group interplay are guaranteed. Myzar, one of four Cook original compositions, is a splendid example of Cook and his group’s hi-quality hard bop. An Eastern-tinged brass and reed melody underscored by a repetitive Senor Blues-type piano figure, which moves smoothly forth and back to the crisp, straightforward swing section. Cook’s cookin’, yes. Not to be mistaken with cookin’ in the sense of riffin’, stringing together exciting but loose-jointed blues phrases. Far from it. Albeit graced with an abundance of blues feeling, Cook’s playing is remarkably balanced. Taste written all over it. A heir to Hank Mobley, in this respect. Also a Silver alumnus, from the pioneering line-up of The Messengers of late ’54 and early ’55 to late ‘56, to be precise. His mates in the frontline were Kenny Dorham and Donald Byrd. Mr. Silver had an ear for exquisite and smokin’ tenorists and trumpeters. It’s interesting to take a listen to Cook’s late career period. It could be argued that it is evidence of the man’s patient, dedicated, disciplined intensification of his hard bop tenor art. Take a listen to the Cook/Louis Hayes LP Ichi Ban, Louis Smith’s Prancin’, Bill Hardman’s What’s Up or Clifford Jordan’s Two Tenor Winner. To be sure, I do not intend to assume that Cook’s work with Silver was immature. On the contrary! However, would it be a farfetched line of thinking that Cook was balancing his act with Silver, not really a driving force of that group but instead precisely tying the knots of Silver’s intricate, blues and gospel-infested compositions? Later in life, evidently, Cook’s work gained depth and, though still very composed, is characterized by more edgy twists and turns and a delivery that hints at a heart that has been burning from all sorts of sweet or sour experiences. I don’t think Cook is alone in this. Plenty of saxophonists that shone brightly in the classic age of hard bop but matured further into their careers. Like Clifford Jordan, Charles McPherson, Jimmy Heath, Harold Land… Wisdom comes with age. Wrinkles too, although, and perhaps you know that feeling, they’re the least of my troubles. 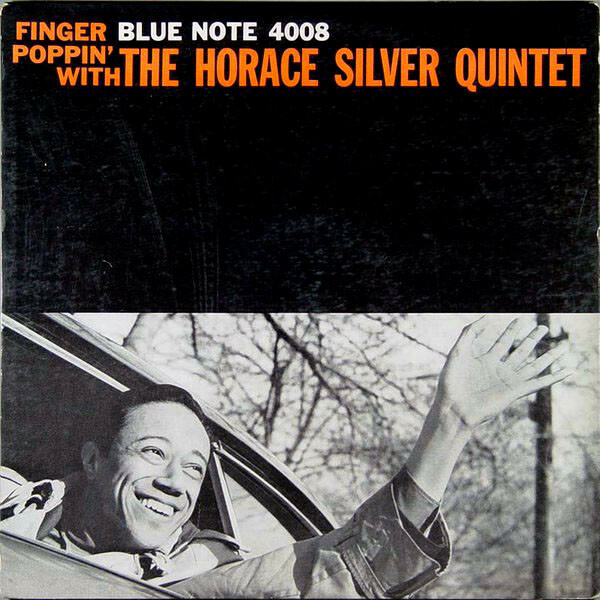 Horace Silver’s first album with his most celebrated line-up, Finger Poppin’, still stands tall after all these years as a penultimate example of hipness and swing. What else? Everybody obviously knows that feeling. I’m not talking about George Clooney’s cup of espresso but of the series of Blue Note albums that Horace Silver made in the late fifties and early sixties. Desert island stuff of such a unique blend of blues and sophistication that effortlessly produces the feeling that all other music besides Silver’s might be redundant. It’s damn perfect. Meaning, not near-perfect. Hard bop heaven. Finger Poppin’ is classic Silver. For the first time, trumpeter Blue Mitchell, tenor saxophonist Junior Cook and bassist Gene Taylor are aboard. The quite unique ensemble playing of Mitchell and Cook, who took with them a lot of experience in r&b groups, gave the already impressive compositions of Silver a buzz, especially noticable in the uptempo cooker Cookin’ In The Continental. Silver was quick to capitalise on their talents, injecting nifty shout-choruses in the tune, that effectively catapult the soloists into action. Lots of other crafty devices set Silver’s music in full bloom, elaborate compositions which nevertheless flow naturally like mountain streams. Silver penned eight major league tunes, ranging from catchy swingers like Finger Poppin’ to the lyrical ballad Sweet Stuff. Juicy Lucy is one of the most irresistable songs around. Bluesy as hell, it features the amazing sense of taste and clarity that runs through the whole set, clarity of both song structure and solo’s. Not only the master himself tells a well-balanced tale with slightly behind-the-beat, swinging lines, dense, probing chords, a delicate use of space, Cook and Mitchell, relatively unknown musicians at that time, strike the listener as remarkable storytellers. All this soulful comping and blowing is underscored by drummer Louis Hayes, who is one of the great masters of the hard bop era, certainly as far as reinforcing a band is concerned. Practically on his own, Hayes sets fire to Silver’s trademark Latin tune for this set, Swingin’ The Samba. The propulsive time of his ride cymbal and crisp, spot-on snare rolls hit the cookin’ tunes right out of the ballpark. Hayes had been aboard the Silver train from 1956, a remarkable stretch for the drummer, who would go on to write hard bop drum history with Cannonball Adderley and on Blue Note albums as Kenny Drew’s Undercurrent. Among many other endeavors. After 1959’s Blowin’ The Blues Away, Hayes would be followed up by Roy Brooks. The best line-up? Every group has its assets. Cast your mind back to the original Mobley/Dorham frontline and Art Blakey groove. Or the daring, lively Henderson/Shaw contributions to Cape Verdean Blues. At any rate, as far as coherent group sound and effortless, blues-drenched swing is concerned, Silver’s group with Cook/Mitchell is unparalleled. Enough to drive you out of your mind. And if you’re not careful, your body. 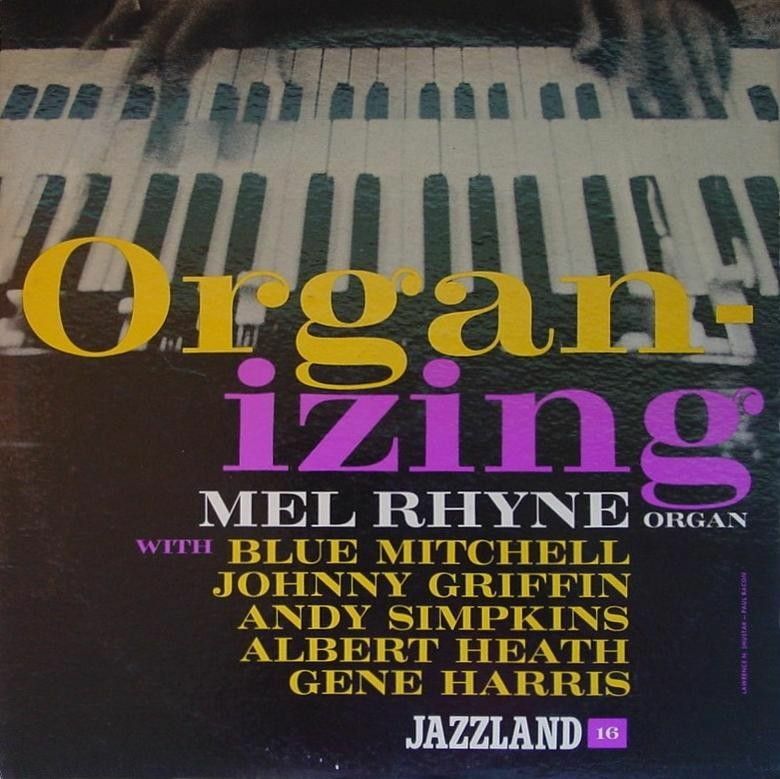 Like a jubilant child eager to play with its long-awaited Santa Claus presents, I gave my recent purchase, Melvin Rhyne’s sought-after solo album from 1960, Organ-Izing, an immediate spin. The organist, best known for his work with guitar legend Wes Montgomery, delivers a tasteful, laid-back blowing session. Rhyne was a native of Indianapolis, like Montgomery, who asked him to join his trio in 1959. The organist backed the groundbreaking guitarist on four splendid Riverside albums: Wes Montgomery Trio (1959), Boss Guitar (1963), Portrait Of Wes (1963) and Guitar On The Go (1959/1963). His articulate backing – Rhyne started out as a pianist – matched perfectly with Montgomery’s tasteful style, a coherent mix of melodic single lines, octaves and block chords. Rhyne’s sound on his solo album comes closest to that of the Wes Montgomery Trio album. It has that, as Dutch organist and Rhyne admirer, Arno Krijger, said to me in this interview, unique ‘plucky, percussive sound’. It’s a vibrato-less sound that enabled Rhyne to craft cleanly spun, logical, laid-back lines. Organ-izing was released on Jazzland, a subsidiary of Riverside. The assembled crew includes two top-rate Riverside artists of the time, Johnny Griffin and Blue Mitchell: guys you can count on for a session of this kind. Griffin is his usual fast-fingered self, grounded in bebop and blues, and peppers his playing with humorous asides. Blue Mitchell stretches out ebulliently on, among others, his own attractive blues line, Blue Farouq. The album consists of four tunes of the same medium tempo and four beat rhythm, which becomes a bit monotonous after a while. Then again, Rhyne is a mid-tempo maestro. He showed it with Montgomery, deepening considerably, for instance, the groove of Missile Blues on the Portrait Of Wes-album. Medium tempo suits his carefully crafted stories. Rhyne eschews uproaring climaxes and instead creates free-flowing endings, shying away from easy effects. He’s like a minimalist writer. But not just somebody. Rhyne’s the Raymond Carver of the Hammond B3. While reading (listening), one keeps contemplating on the enormously clever usage of deceptively simple language for maximum effect: words and sentences (notes, phrases) carved in stone for the ages. The unusual combination of piano and organ is uncluttered, largely due to Rhyne’s understated style. Pianist Gene Harris of The Three Sounds trades choruses with Rhyne on all tunes except Shoo Shoo Baby, a feat which underscores the relaxed atmosphere of the proceedings. During such a spontaneous event, one (Harris) cutting short the evolving story of the other (Rhyne) in the mid-slow-draggin’ take on the classic riff Things Ain’t What They Used To Be is part of the charm. Unfazed, Rhyne supports a swinging Harris bit and continues with a solo that’s a lesson in soul and dynamics. At the end of the decade, Rhyne quit the music business and moved to Wisconsin. He started recording again in the nineties and 00’s, mainly for Criss Cross. Rhyne passed away on March 5, 2013. Of the popular jazz funk dates alto saxophonist Lou Donaldson did in the late sixties, Midnight Creeper is one of the best. It’s a driving date involving a mellow-blowing leader among a bunch of talented sidemen that were becoming successful leaders in their own right. Veteran Donaldson, who was influenced, as many or most were, by Charlie Parker and whose cooperations with Thelonious Monk, Art Blakey and Jimmy Smith date back to the late forties and early/mid-fifties, had a good hand in picking new breed cats in his mid-sixties soul jazz and late-sixties/early seventies jazz funk heyday. To name but a few: Grant Green, Big John Patton, Ben Dixon, Charles Earland, Melvin Sparks. The group of Midnight Creeper is of similar high standard. One only has to take a listen to Bag Of Jewels to appreciate the rapport of George Benson & Co. The artistic merit of a simple vamp like this one, written by organist Lonnie Smith, lies in the protagonists’ groove-ability. The drive of the rhythm section of drummer Idris Muhammad (formerly Leo Morris) and Lonnie Smith is tremendous. The twangy chords of George Benson add body to the bottom. Lonnie Smith is a wholesale dealer in juicy funk and enigmatic surprises. Smith, on this album, shows that he had become one of the most original organists of his time. 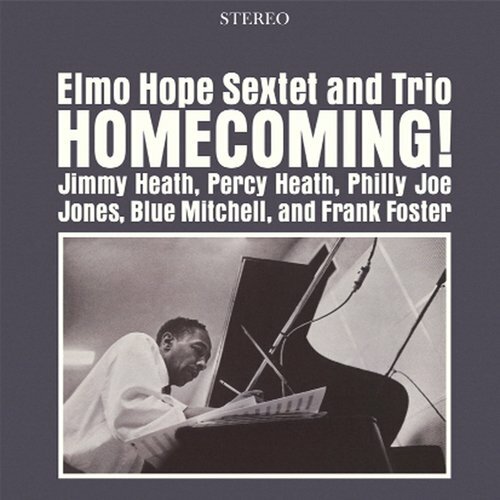 Following Smith, the rest of the soloists – Blue Mitchell, George Benson and Lou Donaldson – bring a lot of jazz finesse to the otherwise basic vamp. Worth mentioning are Blue Mitchell’s skilled work and buoyant style, Benson’s clever yet spicy build-up from low to high register, Muhammad’s stimulating way of announcing soloists with crackling press rolls and, finally, Donaldson’s deceptively casual, logically evolving tale. The signature tune, Midnight Creeper, is an easy-going groove, a mellow boogaloo. The title and bounce suggest the nocturnal journey of a greasy cat, but for me that lazy gait ignites visions of old geezers in the park, scuffling around a chess board and glancing from under their Panama hats to attractive women passing by. That, of course, is one of the beauties of music, that it creates a variety of feelings. Donaldson shines brightly on ballads, and Elisabeth is no exception. Not only does Donaldson have chops in abundance, his tone is warm and penetrating and the way Donaldson wraps his arms around the melody is breathtaking. The funky beat of Love Power is irresistable. It has a kind of Bo Diddley twist as well. Lou Donaldson’s comments bring about a playful, calypso feeling. George Benson delivers a skilled r&b section, including bent strings and slurs. In short, the cover of Teddy Vann’s tune – recorded by The Sandpebbles in 1967 – is a spicy stew. The album Midnight Creeper is an appetizing melting pot as well. Lou Donaldson’s commercial jazz funk albums, even if not all of them are up to par with Midnight Creeper, include classic groove tunes that, I’ve always felt, have the vital function of keeping jazz accessible for newcomers into the jazz realm. At least it worked like that for me as well as a number of teenage buddies in the mid-nineties. Donaldson reminded us of the blues and soul music we were passionately involved with. Midnight Creeper and Lou Donaldson’s other boogaloo gems spelled: wow, this is jazz as well! We’re enjoying the ‘far out’ Coltrane and Monk, but let’s get low, down & dirty for a change! Yeah, let’s just. In 1970 Blue Mitchell was a trumpeter in the Ray Charles Orchestra. Nothwithstanding the fact that playing with the man who was respected among musicians in the sixties for reminding them of the roots of jazz was a valuable experience, it was a decision primarily driven by financial needs. Who could blame him? Jazz life was (is) a scuffle. In the early to mid-seventies Mitchell would continue commercial endeavors, working with the father of British blues, John Mayall, while simultaneously record for the Mainstream label. Blue Mitchell (in popular language also known as Soul Village but not catalogued as such) is his debut on Mainstream. It’s one of the better releases in Mainstream’s book, as Mitchell keeps up the energy of his career-high Riverside and Blue Note recordings of the early and mid-sixties, while adapting adequately to early seventies production methods. The danceable quality of Blue Mitchell is immediately apparent. Three-fifth of the repertoire is reserved for tunes that are influenced by Carribean and West-Indian rhythm. Mi Hermano, Queen Bee and Benny Golson’s Are You Real are contagious songs with big-sounding two-horn themes, in which Mitchell displays his abundant style and round tone, employing a wide spectrum of notes. By concentrating on exotic styles, Mitchell emphasizes and stays true to the lineage of Carribean influence on jazz that took off through the innovations of the bebop clique of the fourties. Mitchell feels at home in these surroundings and had recorded these types of compositions before. Fungii Mama (from The Thing To Do) is a swinging and succesful case in point. The order of soloing is the same on all five tunes: Mitchell first, then Forrest and Walter Bishop Jr. The styles of Mitchell and Forrest blend well with one another; they’re both very lively, yet Forrest’s style is rougher and drenched in swing, as Mitchell’s style is a fair mix of bop and blues. The entrance of veteran Jimmy Forrest in Mi Hermano, who, curiously, had to be pulled out of retirement for the job in Mitchell’s group, is a real kick in the gut. Soul Village and Blues For Thelma are dynamic hard bop compositions; tension-building figures in the former’s theme and a groovy, walking bass figure in the latter’s theme give these tunes an edge. They stimulate the soloists to express themselves eloquently. Essentially, Blue Mitchell is a hard bop recording dressed up for a new age. 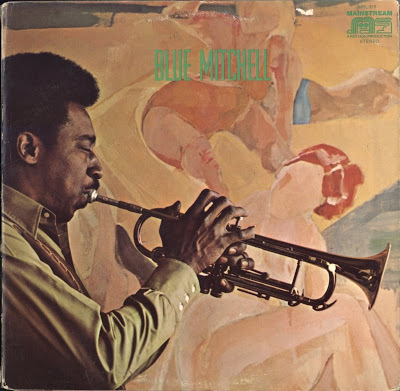 The sound of drums, electric bass and, occasionally, electric piano, is early seventies, but thematically Blue Mitchell belongs to the era in which the trumpeter shone brightly on many a fine session. One must admit that the alternative title of Soul Village isn’t such a bad choice after all. Posted in Review	- Tagged Blue Mitchell, Jimmy Forrest, Mainstream, Walter Bishop Jr.